(February 29, 2016) Just in case readers are tired of the Oscars, for those of you with high-speed internet connections here is an interesting video – a 7 minute interview from December of 2014 with Dr. James Nolan, an agricultural economist with the University of Saskatchewan. In it he talks about the so-called grain transportation mess. Sounds very dry but for grain farmers it would easily qualify as a horror movie. Not that Dr. Nolan is very scary, but what he says certainly is if you are a prairie grain farmer. 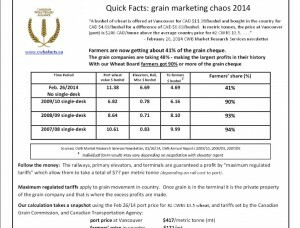 In a very careful academic explanation, he says that without the CWB we are now getting around 40 to 60% of the grain cheque and the grain handling companies are taking the rest. Near the end he says his economic models show that as grain companies eat each other up we can expect to get about 20%. Yikes! Basically Dr. Gray says we could have been $3.25 billion better off each year if we had kept the single-desk. 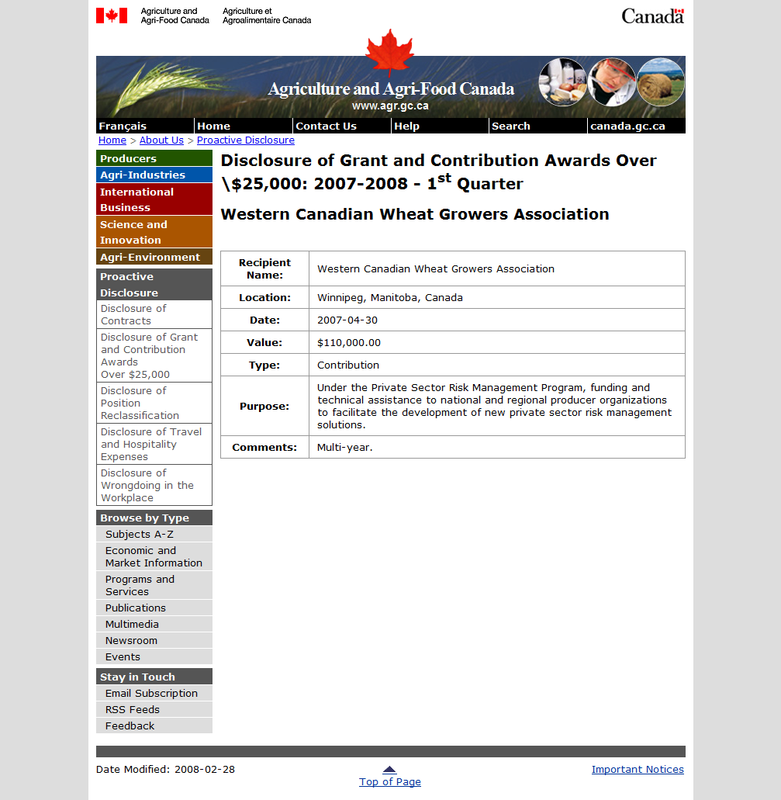 Given the last year of operation of the farmer-controlled single-desk Wheat Board generated a little over $7 billion in sales, Dr. Gray’s findings show the grain companies are taking about fifty percent of the grain cheque. Now farmers are only getting around 40%, which is quite a come down from the 80 to 90% they were accustomed to on wheat and barley marketed by the Wheat Board. News has it this organization will be holding its annual convention in New Orleans, Louisiana this year: our tax dollars at work once again. Lastly, a 14 minute video produced by the Canadian Wheat Board about 1990 or so which explains the history and operation of the Board in a dry but factual way. All steak with very little sizzle as the marketers would say.